In the early 90s of last century, near the Ugandan village of Kabonge (located about 30 km from the capital, Kampala) a woman called Milly Sebba, thought she saw a child within a group of vervets. When they managed to surround the group of monkeys, together with other members of the village, they realized that the monkeys were trying to protect one of them, precisely the young human. They managed to take him to the town and there they found that the kid, who was about six or seven years old at the time, was dirty, full of wounds and scabs and had long hair and fingernails. He did not talk, he crawled to walk and he was probably totally confused. In the village he was fed with hot soup, which hurt him: he was sick for three days. As a consequence of the diarrhea, he expelled a tapeworm of over 50 centimeters long (about 1 feet 8 inches). One of the villagers identified him as John Ssebunya, who went missing years back and who was thought to be dead, after his father killed his mother in 1988, when he was about three or four years old. At the time he fled to the jungle, frightened by what he had just witnessed, John could already speak, so he was able to explain how he met the monkeys and the subsequent cohabitation with them. John says he vaguely remembers that a group of monkeys came to check on him with curiosity. They were very shy and cautious. Little by little they got used to the child and offered him food: roots, fruits, berries, nuts, etc... Within two weeks, it looked like they had accepted him as a peripheral member of the group and John traveled with them in search of food. Vervets spend most of their time on the ground instead of in the trees, and sometimes steal food from humans and are so used to their presence that in some places, whenever they can they eat from crops, wander around the villages and even enter into the houses, giving the inhabitants a hard time to kick them out. Moreover, as their diet consists mainly of fruits, they can survive with little water. Overall, the human child fell under the right conditions to be adopted by monkeys. Green monkeys spend most of their time on the ground instead of in the trees, and sometimes steal food from humans and are so used to their presence that in some places, whenever they can they eat from crops, wander around the villages and even enter into the houses, giving the inhabitants a hard time to kick them out. Moreover, as their diet consists mainly of fruits, they can survive with little water. Paul and Molly Wassuna, who used to run an orphanage in Masaka, were taken to John and adopted him. 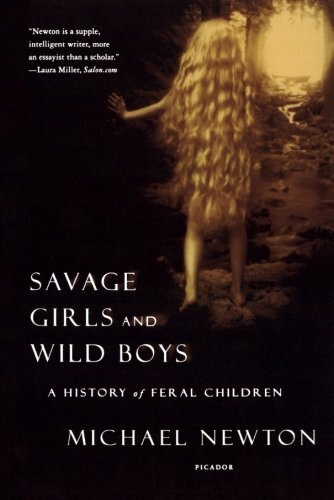 That’s when two people came into the boy’s life: Douglas Candland, an American psychologist from Bucknell University (Pennsylvania), who was famous for his studies on animal behavior, and Debbie Cox, the director of a center that specializes in reintroducing primates into the wild that had been illegally removed from their natural habitats. 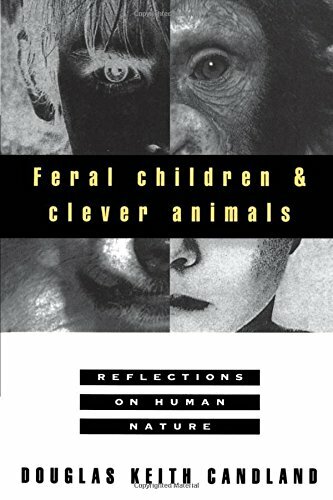 For Candland, it was like the culmination of his career, that he had devoted to the analysis of the human mind and the reactions of the animal world. To confirm that John had really lived with the monkeys, they carried out an ultimate test: having the kid return with them. They were quite convinced, as John had managed to clearly identify the monkeys with whom he had lived in a book that showed images of all the existing apes. When the day came, the boy left them speechless: he approached a family of vervets that were sitting on the floor, eating. Without looking them in the eyes, so that they would not think he wanted to attack them, he opened his hand, which was empty. Then they started to play something similar to cops and robbers. Paul and Molly Wassuna smiled, John seemed so comfortable with the monkeys! Candland and Cox confirmed they had no doubts anymore: "He has definitely been among the monkeys. He doesn’t look at them straight for them not to turn against him or go away. On the other hand, he shows them that they have nothing to fear. These two tricks take years of observation to acquire, and he has used them both spontaneously. I guess the only thing left to know is how long he spent in the jungle with them, which we will not find out" the scientists concluded. We said at the beginning that monkeys accepted him as a peripheral member, because he never participated in some of their social behaviors, such as delousing. The most vivid memory in his mind as a child was that they spent the whole day playing and searching for food; it was necessary to forget unpleasant memories, such as the cold or the difficulty to sleep, which he also experienced, but left a lighter memory on him. And this is the story he tells the other children from the orphanage who want to hear his story at night, just as if they were reading a book of Kipling or William Burroughs. Except John’s is a true story. As we said, the boy was adopted by Paul and Molly Wassuna and grew up in their orphanage with other local children. He displayed a beautiful voice, so he joined the choir of the orphanage “Pearl Of Africa Children's Choir" and also learnt to play guitar. He was found to be so talented that he even toured in the UK to perform in churches with the rest of the choir. The event was widely publicized. The National Geographic documentary is available on Youtube (see below).